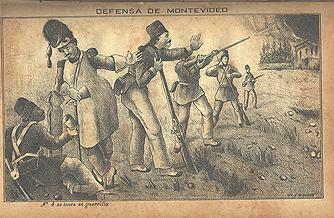 A scene from the eight year siege of Montevideo during the Uruguayan Civil War. Via Wikimedia. The conflict in Gaza has renewed focus on Israel’s military strategy. Zack Beauchamp demonstrates that Israel in fact lacks a central strategy for dealing with threats. Israel scholar Brent Sasley argues Israel strategic goals are unrealistic, and even then doesn’t have a plan to achieve them. 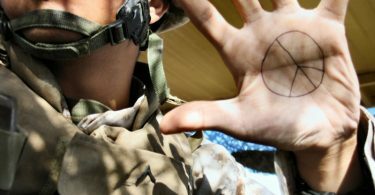 Also on the subject of Gaza, the blog Justice in Conflict is hosting a six-part series on R2P, Israel, and Palestine. In a wide-ranging essay, Haviv Retig Gur compares Hamas’ strategy to that of the Algerian independence movement and examines the conflict’s strange politics of weakness and strength. Finally, Sean Langberg rebuts Thane Rosenbaum’s WSJ op-ed, arguing there are in fact civilians in Gaza. The New York Times has an inside look at IS-controlled Raqqa, Syria. As ISIS advances, it is showing tactical flexibility many doubted it possessed. 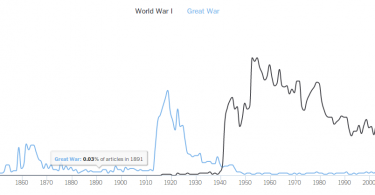 Alternatively, as Joshua Keating argues, ISIS may be faltering. Lastly, the LA Times has an in-depth portrait of how, as the war drags on in Syria, rebels face despair and economic pressures that force some of them to retreat from front line life. Business Insider has an absolutely fascinating article about terrorism expert Aymenn al Tamini’s ambiguous relationship with the groups he studied, and how his career began to fall apart. Also on the subject of terrorism and twitter, the State Department is losing the public relations battle with jihadists. Writing at Reinventing Peace, Alex deWaal offers a preliminary investigation of the relationship between corruption and human insecurity. Former ambassador John Campbell notes that Boko Harm is showing some signs of territorial statehood. However, they face an uphill battle, as jihadists have traditionally struggled to institutionalize their rule and accrue legitimacy. Robert Pape, Kevin Ruby, and Vincent Bauer argue that government data on terrorism is faulty, consequently exaggerating a spike in recent terror attacks. Bolivia’s coca policy has succeeded in reducing violence by giving growers’ unions strong incentives to self-police while simultaneously increasing government seizures of illegal coca. In eastern Ukraine, the final days of the People’s Republic of Donetsk leave civilians caught in the crossfire. In the Monkey Cage, Austin Carson argues that even if Russian personnel did not fire the rocket that downed MH17, they are guilty of “gross negligence.” Next door in Poland, politicians may still deny it, but the country aided the CIA in the torture of detainees writes Hanna Kozlowska. Good news has been hard to come by in CAR recently, but Louisa Waugh writes that reconciliation programs have contributed to the return of calm to the capital Bangui. 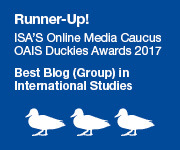 The links between domestic gang violence and international political violence rarely pop up in scholarship, but Rachel Strohm has a two–part series on this very topic. Daniel Solomon takes a look at the local drivers of conflict that make Al-Shabab resilient.